St. Francis Yacht Club in San Francisco, USA has been selected by World Sailing, the world governing body of the sport, to host the 2019 Nations Cup Grand Final April 9-14, 2019 and will use its matched fleet of J/22s. St. Francis Yacht Club previously hosted in 1995 using J/24s. 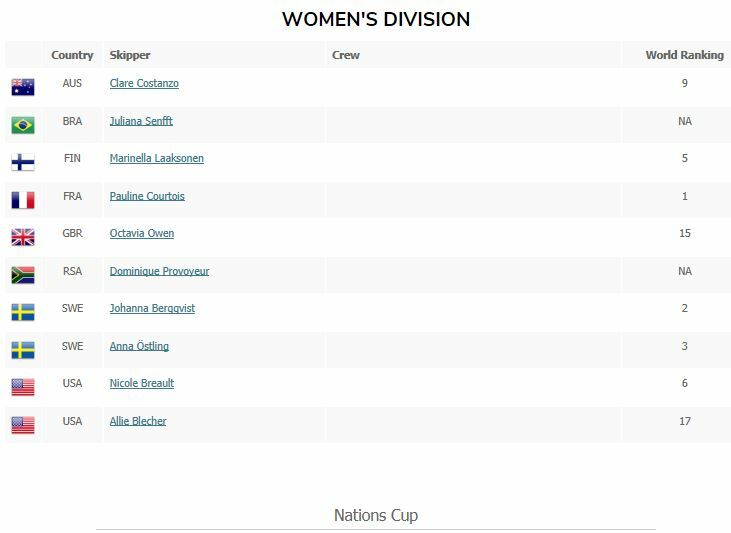 Ten Open and ten Women’s division skippers have registered for the Grand Final, including some of the top world-ranked, as can be seen HERE. As winners of the last Nations Cup Grand Final, USA’s Nicole Breault earned a spot in the Women’s division and Russia’s Vladimir Lipavsky a spot in the Open. World Sailing Member National Authorities (MNA) filled out the field by nominating their most recent National Match Racing Champions in each division. Nominations were allocated by region to Africa, Asia, Europe, North America & Caribbean, Oceania and South America, and the event will have ten countries represented in the Open and eight countries in the Women’s. 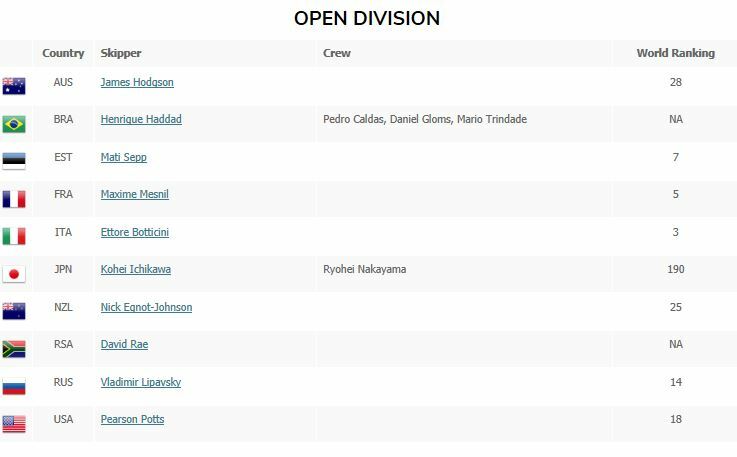 For further information, please contact Pedro Rodrigues at World Sailing via pedro.rodrigues@sailing.org listing “Nations Cup 2019” as the subject. The inaugural Nations Cup in 1991 saw six regional qualifiers in each of Denmark, Italy, Greece, Brazil, Bermuda and Japan, with the Grand Final in Barcelona, Spain. At that time only sailed in an Open division, the title was won by Ed Baird (USA). The 1991 Nations Cup Grand Final was the climax of over 1,000 races sailed by some 50 countries. Moving onto 1993, preceding the Grand Final in Holland, the qualifiers were held in Finland, France, United Arab Emirates, Peru, USA and Singapore, with Roy Heiner (NED) taking the Open title and Helena Strang (SWE) the Women's. The 1995 event saw St. Francis Yacht Club host the Grand Final, with the qualifying events in South Africa, Croatia, New Zealand, Ireland, Canada and Chile. The Open Event was won by South Africa's Bruce Savage, with the Women's title claimed by Susan Walters (AUS). The ISAF Nations Cup was successfully re-launched in 2006 with eight Regional Finals leading to the Grand Final in Cork, Ireland. France completed a double victory with skippers Mathieu Richard and Claire Leroy leading their teams to victory in both the Open and the Women's division. In 2009, competitors from more than 40 nations contested the Regional Finals held in Antibes, Auckland, Brindisi, Buenos Aires, Charleston, Kinsale, and Mumbai, whilst Porto Alegre in Brazil played the host of the Grand Final. Brazil saw some of the world's best match racers representing their countries, but France repeated their achievement of 2006 to win both titles again with skippers Claire Leroy and Damien Iehl. The 2011 ISAF Nations Cup Grand Final was hosted in Sheboygan, USA. Claire Leroy won her third consecutive title for France with Laurie Jury skippering a New Zealand team to victory in the Open event. In 2013, Denmark won the rights to host the Nations Cup in Middelfart with the support of the Triangle region. Australia’s David Gilmour, the 22-year-old son of Peter Gilmour, brought home the Cup to Australia and the Women’s title went to Brazil with Juliana Senfft as skipper – the first ever Nations Cup victory for Brazil. Vladivostok, Russia hosted the last edition of the Nations Cup in 2015. Russia’s Vladimir Lipavsky took the title in the Open division and Nicole Breault from the United States of America claimed the Women’s title.